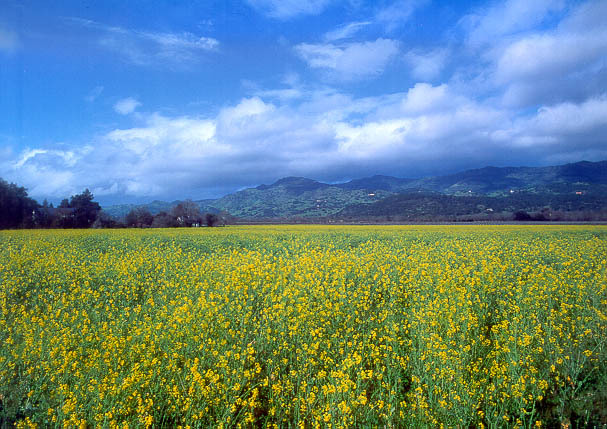 As spring arrives we turn our sights to the Oak Knoll Vineyard District where a sea of wild mustard erupts from the land. Taken along Big Ranch Road near Monticello Vineyards.Napa Valley, Ca. March calendar insert: Wine Country Odyssey 2001 Calendar.